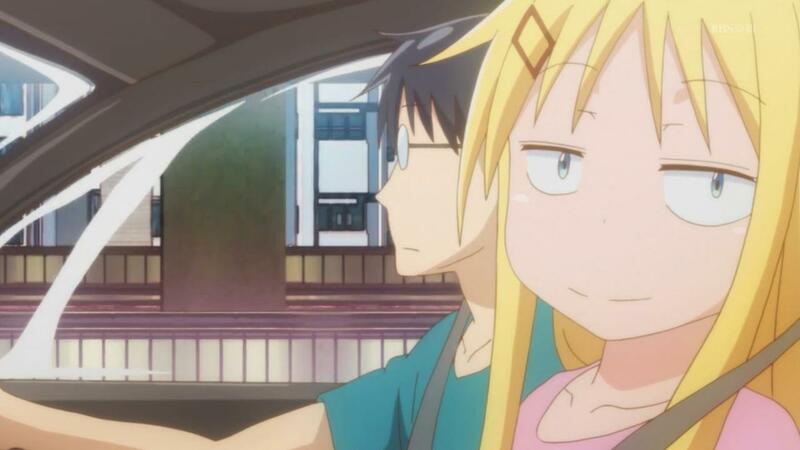 The medium of anime can seem pretty straight forward to the uninitiated as it seems to be less detailed than Western animation [lip flaps being the prime difference], but it really isn’t. 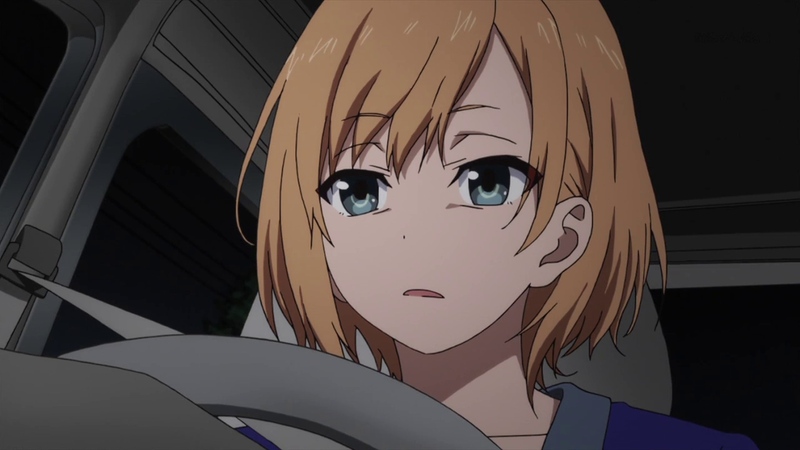 More often than not, much more work is required and tighter deadlines exist in the anime production world and SHIROBAKO wishes to unveil the inner workings of the typical small animation studio breaking out into the big time whilst lacing a rites of passage story into the mix too. Can studio P.A. Works redeem itself after the colossal flop that was Glasslip? In a school’s animation club, five young girls endeavour to create their own animation; their skills spanning the majority of departments that make up a studio – acting, animating, mixing and writing. Sadly though, time has conspired against them and the group must part ways as graduation looms close for some of them. 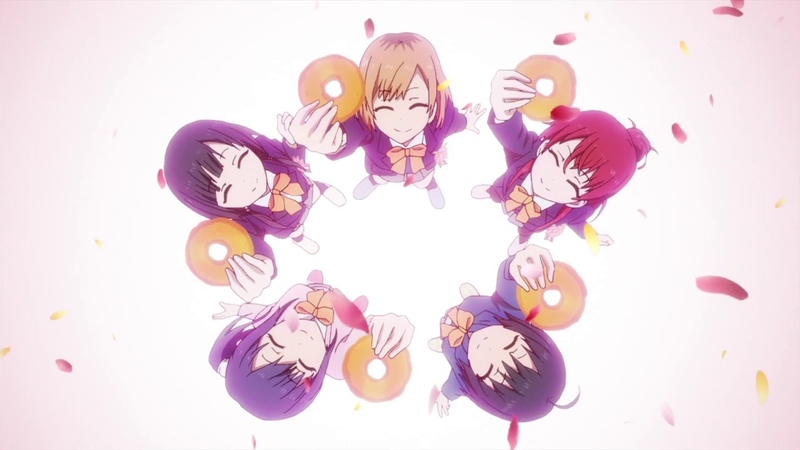 Their binding love for donuts as a motivator is what keeps them together and is their staple in times of crisis [it regularly crops up later on in the series]. They vow to see each other in the industry and that they will all make it. Fast forward a few years and we meet up with Aoi, bleary-eyed, driving the latest cels for Musashino Animation [the company she works for] in the dead of night. From the get-go, we are thrust from the safe and secure world of the school club into the harshness and exhaustion of the professional circuit. 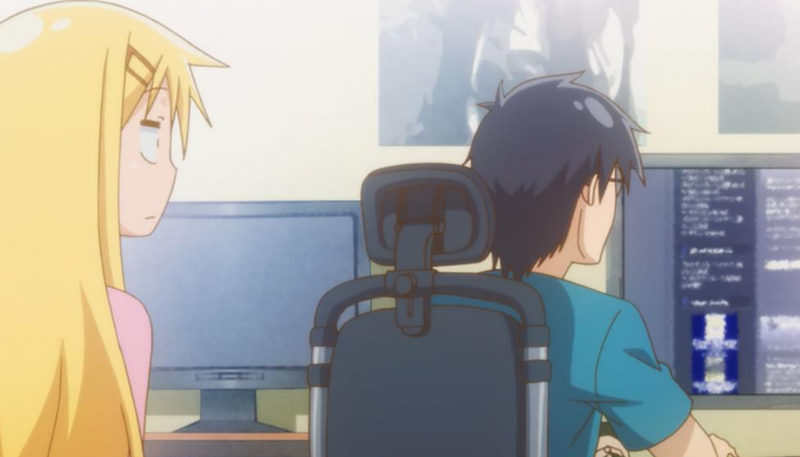 It’s at this point where you the viewer have to make a decision about whether to continue or skip this anime – are you interested in the behind the scenes workings or not? If yes, then you’ll be fully enlightened; if not, then it’s best to leave this anime for something less grounded. There’s no magic or illogical plot devices. It’s all real-life situations and the prospect of adulthood. For those that stay the course, get ready for some endearing narratives. P.A. Works has created a true-to-life reproduction of how an anime is made. If you wanted to see how a Japanese company makes the cartoons you watch, you’ll get the works. Direction, animation, acting, writing; all avenues are explored led by the progression of one of the plucky schoolgirls at the start of our series, Aoi. Aoi is now twenty-two and rising up the ranks in the outfit Musashino Animation. 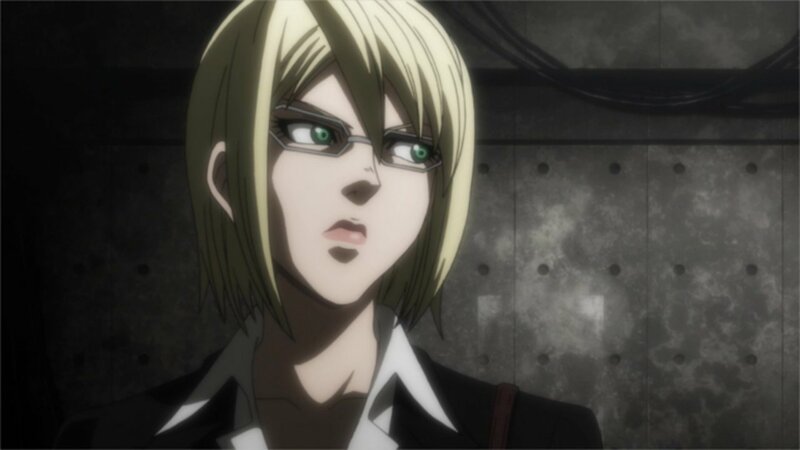 In our first arc, she is in charge of the studio’s fourth episode’s animation admin for their series Exodus. It’s her job to lead it and it’s a big task, especially when fate conspires against her and it’s up to her quick thinking and guidance from her colleagues to get things going in the right direction after many roadblocks and creative flip-flops. Believe me, this kind of stuff happens in the creative circuit. Things change last minute and you have to change them fast. SHIROBAKO is able to present a grounded plot whilst not getting too bogged down in the trappings of animation…most of the time. It IS a pitfall which is bound to happen if you’re going to go deep like the writers have done for this series. This level of detail is fascinating to some, but not to others. Some viewers just want to see Aoi and her friends progress and might not be so keen on the terminology being bandied about; but it IS necessary in order to convey an accurate facsimile. Failure to do so will cause annoyance with enthusiasts and the people in the industry! There have been quite a few rites of passage slice-of-life shows this year with Wake Up Girls!, Shounen Hollywood and Locodol being the first examples that spring to mind. The idea of having a group of teenagers become popular and watching that rise is quite compelling a story; but it has become derivative as of late because it has been constrained to the music industry. This time however, it’s focusing on the television industry and even broaching ‘meta’ status. It’s an anime about making an anime. There have been shows littered about the years that talk about the topic, but this is probably the most comprehensive that I have personally seen. It’s also the most authentic and charming. The crew of Musashino are a diverse bunch. Some are eccentric, some are supremely professional and others are just plain odd. Even the boss gets involved [like he’s your favourite uncle], frequently cooking for his employees and buoying morale when times get rough. It makes you aspire to work for such a company; one with a strong sense of family and solidarity, you know everyone there and want them to succeed as a team. That’s what PA Works has succeeded at themselves. Producing a real-life show which is not dull. It’s a return to form after their disastrous summer. They can make pretty scenery AND detailed plots just like they have done before the summer! It’s all rather deep and thought-provoking. In the end, SHIROBAKO is an anime with an anorak. If you are into content creation or wish to know about how your favourite anime is made from the ground-up without sugar coating and the hardships behind it, you’ll enjoy it and gain an appreciation for the hard work that goes into it. You’ll also enjoy the personal progression that the characters go through over the weeks. Overall, this is a very well packaged product worthy of the praise it’s garnered. SHIROBAKO is available to stream on Crunchyroll. Akihabara [or more commonly known as Electric Town] is a hive of activity in the Japanese capital. Every day, small fortunes are spent in the pursuit of finding the latest gadget or rare artefact to complete one’s collection be it a figurine or DVD or even a book. One bookstore plays host as we gaze into the world of Denkigai no Honya-san and read up on it and skip to the pictures! Umanohome, the name of the store the story is set in, has a rag-tag team of employees which deals with the patrons of the Akihabara district. They range from the greenhorn newbie Umio to the jaded manga artist/manager ‘Sensei’ [the term is ironic for she is actually quite lazy and lacking in confidence] and even the mute Sommelier, a master of manga matchmaking. These characters are led by the perverted Kantoku, a very sexually confident head of operations. With him at the helm, the team manage to generate a good amount of business in the area hosting midnight releases of new manga volumes and tending to the demands of fussy customers. This is a workplace anime sitcom with plenty of slapstick comedy and a distinctly older teen vibe about it. Yet despite the savoury content, it’s remarkably restrained. When I first watched this show, I was taken back to when I watched the cult classic anime Genshinken. 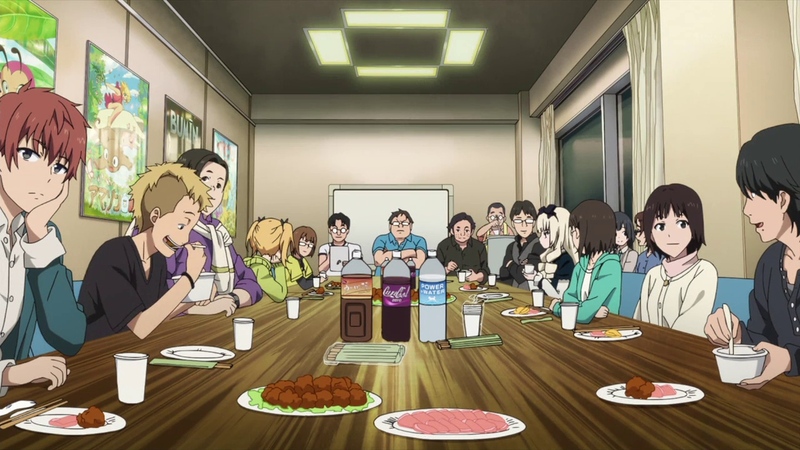 In that show, a bunch of young adults in college hung out together, each with a different level of affinity with anime and manga ranging from lots to barely any at all. Denkigai no Honya-san seems like a variation of sorts, like what would happen if the setting was a bookshop instead of a club room. It has a adult feeling whilst yet not being pornographic; it’s got that sense of maturity whilst also being pretty ridiculous. It’s not meant to be a hard-hitting analysis of what goes into running a doujinshi store [fan manga store] and reconstruct it in every single way; but it uses the more relaxed and open-minded scenery to create a bunch of characters that would be dubbed ‘socially awkward’ in the real world and see what would happen if you got them working with each other. When you do that, you get some very amusing yet oddly familiar characters such as the mute Sommelier with the paternal instinct [reminds me of Mori-senpai from Ouran High School Host Club]. Each one of these characters has a personality which contributes to the overall story; no-one is superfluous. I will give this show credit for tons of charm. These co-workers aren’t just pay-cheque collectors, they are a family. They get on famously and help each other out when times gets rough. With each episode, I am filled with a sense of warmth and comfort, it’s comfort food. I await each episode and feel satisfied after each outing. Each of these outings consists of two or three minisodes within a full twenty-four minute slot so the pacing is kept at a reasonably fast level. Despite the lightning pace though, the show doesn’t half be clever sometimes. On the surface, the show looks very simple and soft but it can actually be quite self-aware about the moe genre and fanservice as a whole. Nothing feels biased or wrong. You expect to be thrust something offensive or striking, but it never comes and instead we get a bout of philosophical debate about the genre. For example, Sensei takes the tried and tested theory of “Schrödinger’s Cat” and swaps the feline with underwear. What’s better, to see or not to see? Sensei and the show takes a popular theory and puts an anime spin on it which is rather surprising. One figurehead character and the potential candidate for “main character” is Sensei herself. A lot of the plot focuses around her and her ambitions of being a manga artist. However, the show doesn’t make her a prodigy; she’s adequate. Average. Meh. Nevertheless, she ploughs on even though she’s not the best in the business and her hapless friends aren’t much better and may be a hindrance rather than a blessing. I am pleased to see this as it is a facsimile for a lot of people there who have tons of ambition and dedication and may lack the skill at this time; they do it for the fun of it and take it seriously…well, they try! 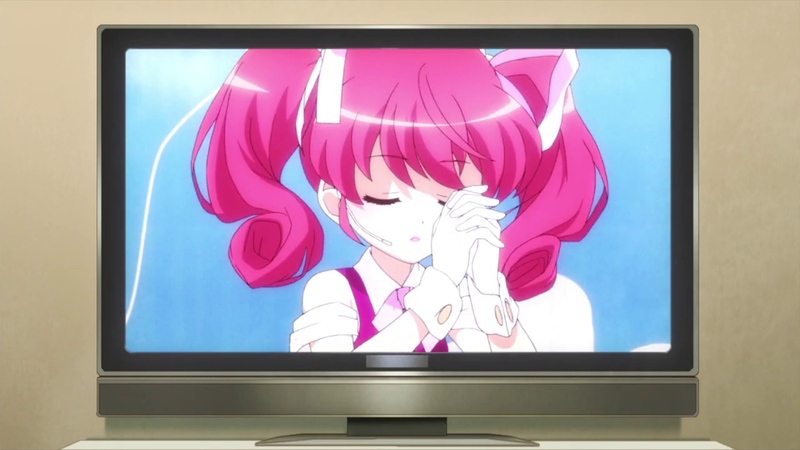 You will become very used to seeing Sensei cry, Shin-Ei Animations must have had tons of practice in how to draw tears after producing this anime; she’s crying all the time over deadlines, comradeship, anything! It’s not annoying, but just very different and a distinguishing feature. In the end, Denkigai no Honya-san is a cute anime with a lot of personality and little accuracy; but that doesn’t matter because you can’t get over the friendship on display. It’s not a hard-hitting anime, but it’s a delightful and amusing slice-of-life about a little manga store in the centre of Tokyo. Nothing more. You will find a character you’ll like with no trouble at all; I actually like nearly all of them for different reasons. The fanservice that does show itself is tempered and equally geared towards all persuasions, not just the guys. That’s rather refreshing and I’m glad I got to see that the ladies were catered for just as much. Equal opportunities FTW! 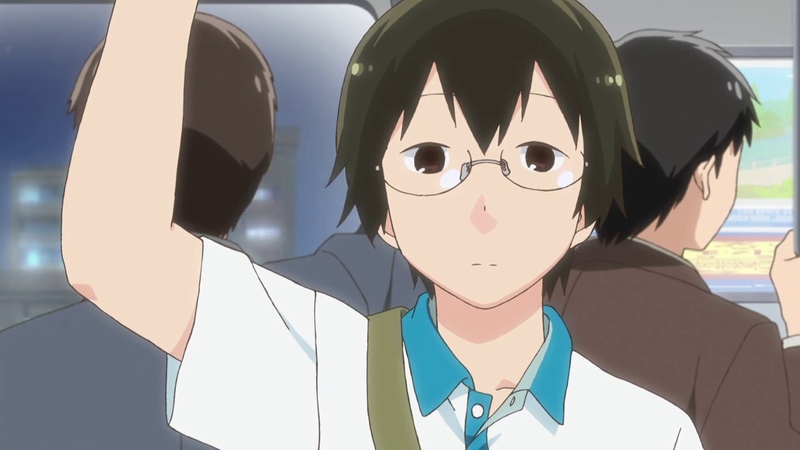 Denkigai no Honya-san is available to stream on Crunchyroll. There are hobbies out there that most couples have where one party cannot comprehend what their partner does or even what they’re talking about. 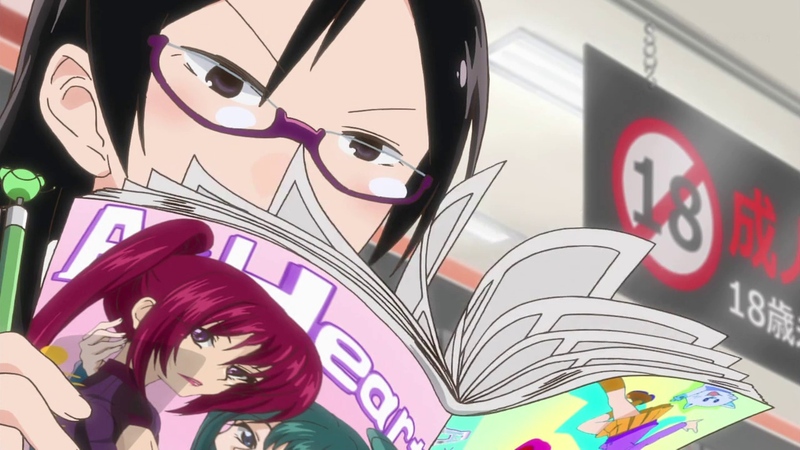 In this case, office worker Kaoru and otaku blogger Hajime live together in ‘matrimony'(?) despite the fact there are far too many instances where Kaoru thinks I Can’t Understand What My Husband Is Saying. 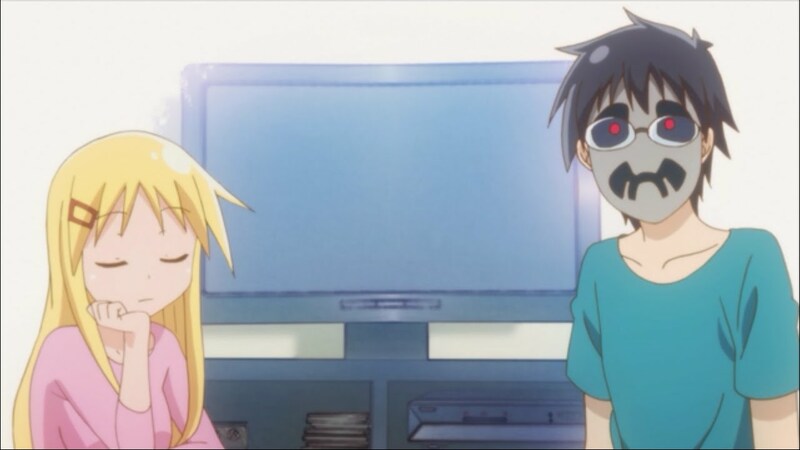 This series is split into four minute episodes with very fast comedic elements thrown at the screen concerning the lives of Kaoru and Hajime, two newlyweds with differing tastes in entertainment and outlooks on life. Kaoru is a very cynical and ignorant office worker and Hajime is a closeted recluse who relies on the internet and anime for his social activity and fulfilment. Somehow, these two opposites attracted each other [it helps that Hajime is pretty buff!] and the pair got married despite the fact they seem to show little affection towards each other in their day-to-day existence. Each episode throws up a brief story involving either Hajime’s brother[?] coming to visit, Kaoru dealing with her drunken behaviour, Hajime finding a job; all these plots seem dull when condensed like that, but all these stories are laced with madcap comedy and a hint of sweetness which really comes from within. Sure, these two may have differing interests, but they have a common characteristic – they’re both lonely individuals. Through their solitude, they found each other and figuratively snuggled together for companionship. Even though Kaoru can barely understand what Hajime does and likes, she’s not depressed or frustrated. She tries to understand and she begins to pick stuff up like a caring spouse should; be interested in their partner. Hajime too does change a little, although it’s more subtle. He becomes more open to real-life pursuits like finding a desk job and even going drinking with his wife. Being social? Never! Well, things change. 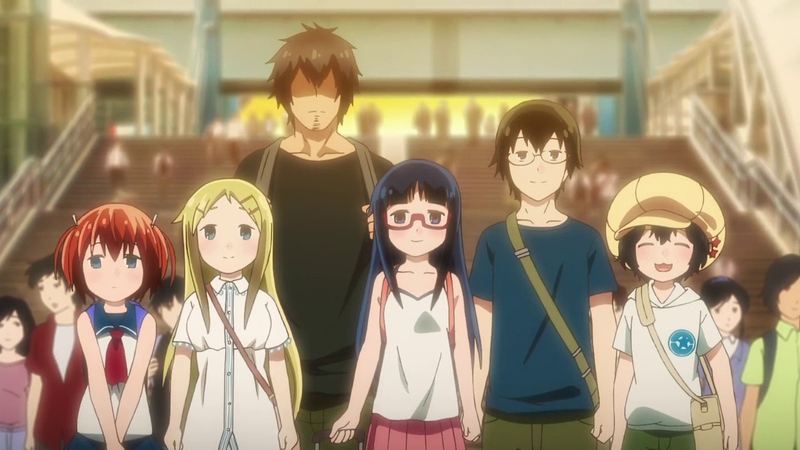 It leads to a very sweet and touching anime which warms even the coldest heart. I Can’t Understand What My Husband Is Saying is a simple story but it crams a lot of plot into very little time, it could be considered to be too short. It would’ve been neat to see this show done like Sabagebu and have three ‘minisodes’ per week each lasting seven minutes. That being said, that might be why it’s the length it is; it leaves people wanting more. It keeps things simple and uncluttered and I respect that decision. I’d rather be waiting in anticipation for the next episode rather than wanting to know when one is going to end. Not all of this show is perfect though. There’s the issue of Hajime’s brother Mayotama, who regularly cross-dresses as a girl and acts like one online [there’s even a skit where one of Hajime’s friends finds this out all too well]. The issue isn’t the cross-dressing; people are free to be whoever they feel most comfortable being, but Mayotama’s character as a PERSON is all over the place. I would much rather he wasn’t in the story as he barges in obnoxiously and throws the plot into disarray. Instead keep the narrative focused on Kaoru and Hajime and their routines. That would be much nicer; but I suppose the need to mix things up is why Mayotama is there…doesn’t mean I like him. The animation can be a little iffy at points, but most of the time this is excused due to the show’s brevity and sketchy style; if this were a longer episode the quality would have to be better. Seven Studios have struck a good balance of efficiency and detail for what they’ve got. The most touching moments are when Kaoru looks to Hajime and becomes all brooding and maternal; her husband is a big kid [she’s actually two years older than him too] and she’s there to look after him and his impetuous nature. She may not be the most lovable person out there, but she does convey care and empathy in her own unique way which shines through often, usually at the end of each episode. Like she’s learnt some kind of moral. They are figuring each other out and how they’re going to make this marriage thing work out for both of them. Hajime is relatable to most of the Japanese audience; he is what most otaku want to be – a married man and yet still maintaining his blazing passion for all things two dimensional! He is their vessel and perhaps a glowing beacon of aspiration for which to encourage people to find a partner; it’s not impossible, people! In all, I adore this show. It’s short, sweet and downright charming. It’s been overlooked by most review sites and it shouldn’t be; just because it’s short doesn’t mean it’s impotent. It’s not about the size, but what you do with what you’ve got and this show does a lot. Some characters could be fettled from the lineup in my opinion, but the overall package is adorable and funny. A lovely little comedy for when you’ve got a spare few minutes. Or mainline the entire series in an hour! You won’t be disappointed. 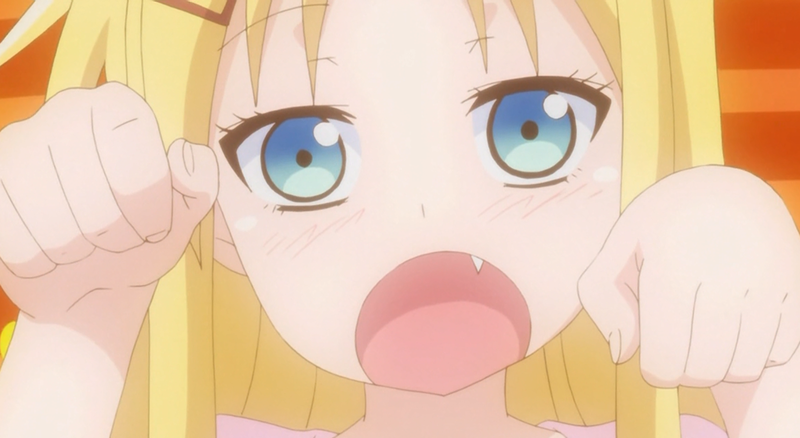 I Can’t Understand What My Husband Is Saying is available to stream on Crunchyroll. A fear that is common amongst humanity is the thought of losing said humanity; to feel your soul disappear and your body taken over by an empty organism with no emotion and one directive – to kill and survive. What’s more, it’s not even like you went down in a blaze of glory in a zombie attack; a virus gets you while you sleep. Or more accurately, a parasite. 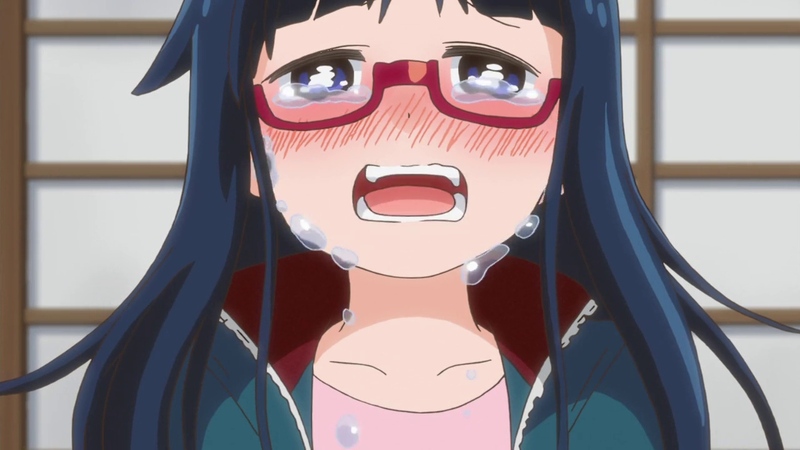 That’s what the famous manga series Parasyte presents before us, now having been given an anime after twenty years. This classic manga will hopefully become a classic anime. The above image sums up the dynamic that the main characters, Shinichi and Migi, share. 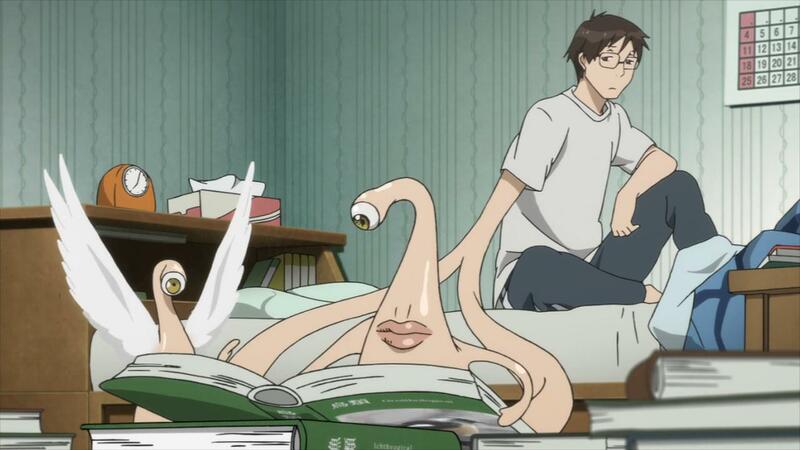 Shinichi is the host and Migi is the parasite. 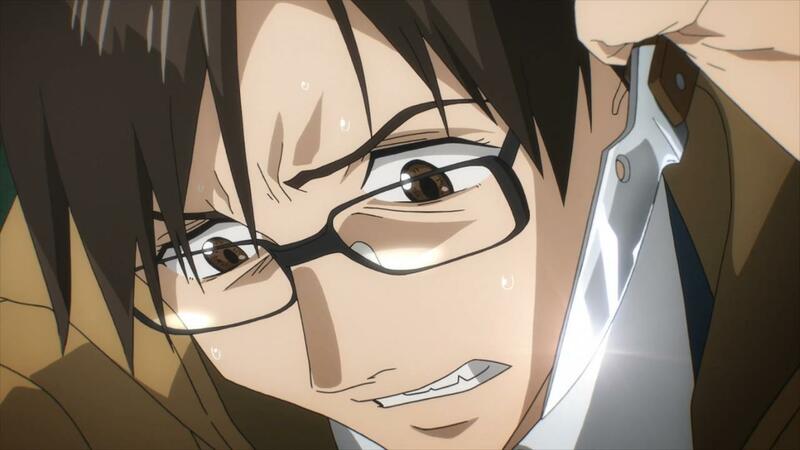 Migi’s name means right in Japanese; an allusion to the fact that Migi has infected Shinichi’s right hand. This symbiosis was not meant to happen though as the virus known now as Migi was, like the rest of his kind, meant to control the brain of their host; not just their limbs. It was down to some quick thinking on Shinichi’s part that managed to save his consciousness, at the cost of his right hand. Alone time will never be the same. Together they keep each other alive through a mutual understanding (Migi, as a virus or more commonly known as a Parasyte, doesn’t understand emotions) that being alive is a lot better than being dead. Migi quickly learns about human history and culture and the pair begin to deal with the task of destroying other Parasytes. The reasoning shifts from ensuring the survival of humanity and self-preservation; it depends on the situation. 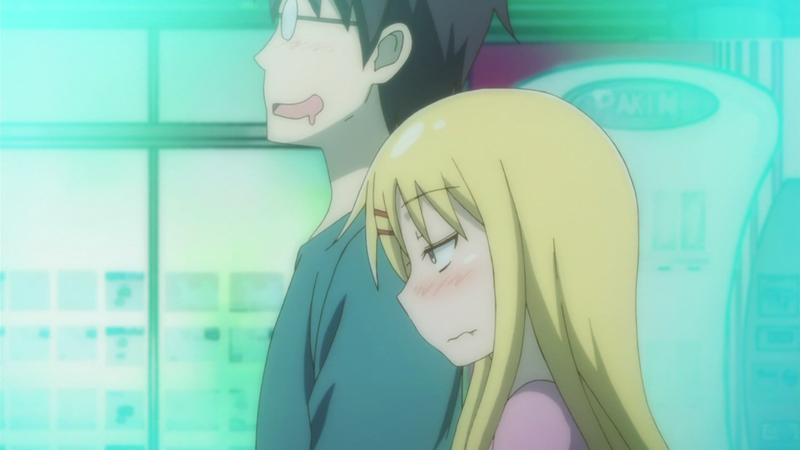 Either way, the show sets itself up as a rather unorthodox buddy series. Let’s make one thing clear here. This show is pretty gruesome; no, REALLY gruesome. 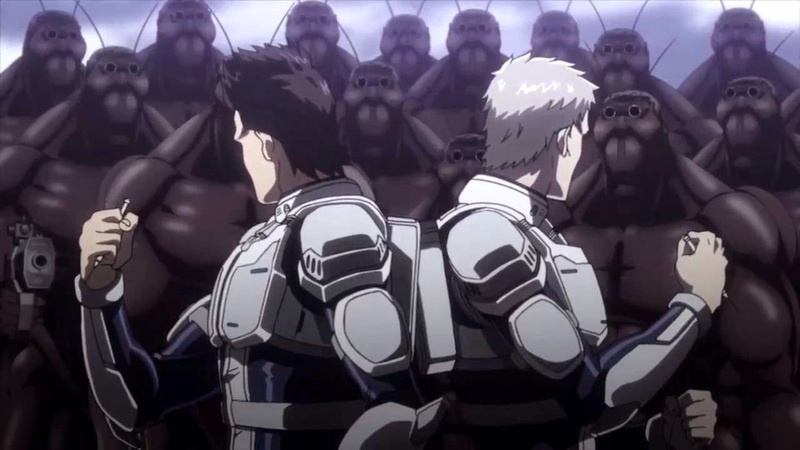 Soulless devouring of human flesh and gory transformations are left untouched by the censors [You hear that, Terraformars?] and offered up in glorious high definition. 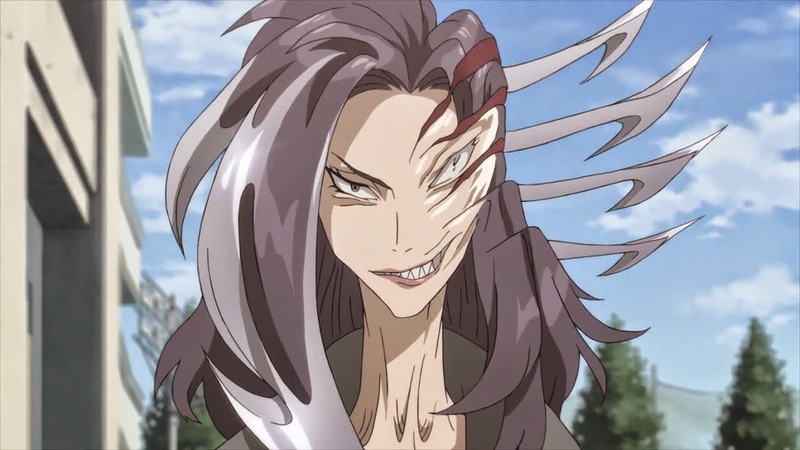 It all adds to the shock factor that Parasyte provides to the viewer. If you are squeamish then this show is not for you; there are no black bars to hide behind here. I think what draws me to this show is its emotive power. There are moments in the show where the usually emotionless Parasites begin to explore the realms of human feelings and their powerful influence. It all contributes to the incredibly strong character roster. All the characters here are fleshed out really well and they feel like real people; even the infected hosts! You comprehend the scenarios at play entirely and have little confusion left over, allowing you to watch the anime with little distraction. The violence is more than just blood spattering about. We are talking about heads being split open like mouths, throats slit in an instant, multiple stabbings and all sorts of gory and supernatural bloodbaths. None of this is left to our imagination. Hitoshi Iwaaki’s original work is presented to us, warts and all. It’s unsettling to see a human being, or what you think is one, opening itself apart like an orange peel to reveal super-sharp blades that could cut you up before you know it. Not only that, but the killer has no remorse or satisfaction from it; you are a piece of meat whose sole purpose is to be eaten. How scary is that? Your fear is carried through Shinichi in the early episodes as he watches Migi fight enemies off who sense Shinichi’s humanity as an oddity. So it’s not like they can hide; the pair HAVE to fight. Another scary side effect is that Shinichi is slowly losing his humanity and I don’t think he realises he is. That’s unsettling. I’D like to know if I was becoming less human. 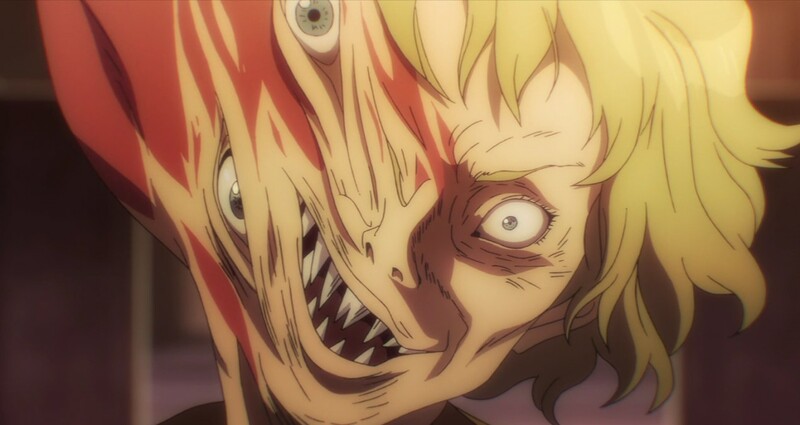 Parasyte is perfect nightmare fuel for most people. If you are familiar with horror you might be less impacted by the visuals, but you will still be impressed by the level of gory content. The timing of this review was deliberate. 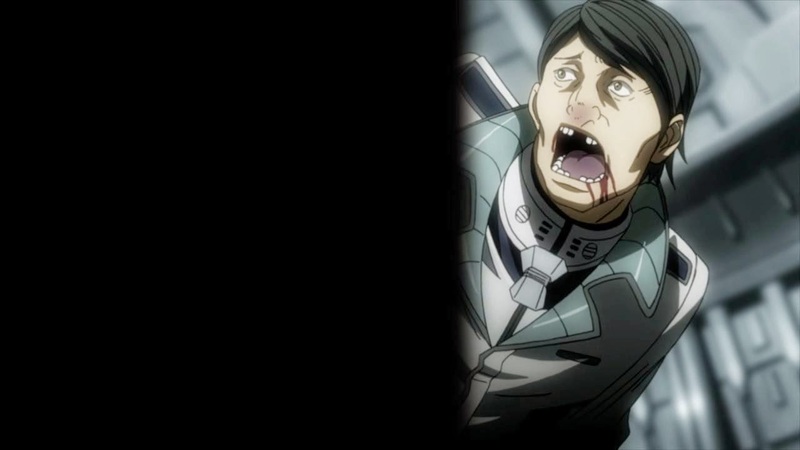 My previous review was of the heavily censored Terraformars and now we have the wholly UNCENSORED Parasyte. The former was ruined and the latter shows its confidence in itself and how it doesn’t need to rely behind a black curtain to promote future Bluray sales. It gives you the whole package and I thank the Parasyte team immensely. 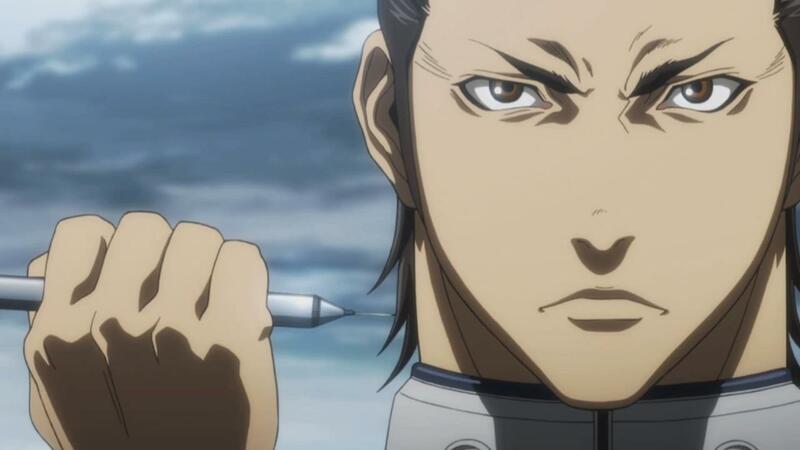 Iwaaki and Madhouse have presented a late eighties manga and seamlessly modernised it for today’s audience. The package is mostly perfect; a right balance of horror, intelligent plot devices, emotional capacity and even a little bit of comedy here and there. My only concern is the placement of music; it may not be bad all the time but some scenes were spoilt when tracks were mismatched with what was going on on-screen. That’s my only fault with this show. This is definitely going in my top three anime list. Parayste is available to stream on Crunchyroll.